Did you join us at our Spring Grande High Tea Event at Revival House this past Sunday? It was fascinating! We loved seeing everyone making time to enjoy the company of those they came with in a relaxed and beautiful environment at Revival House. 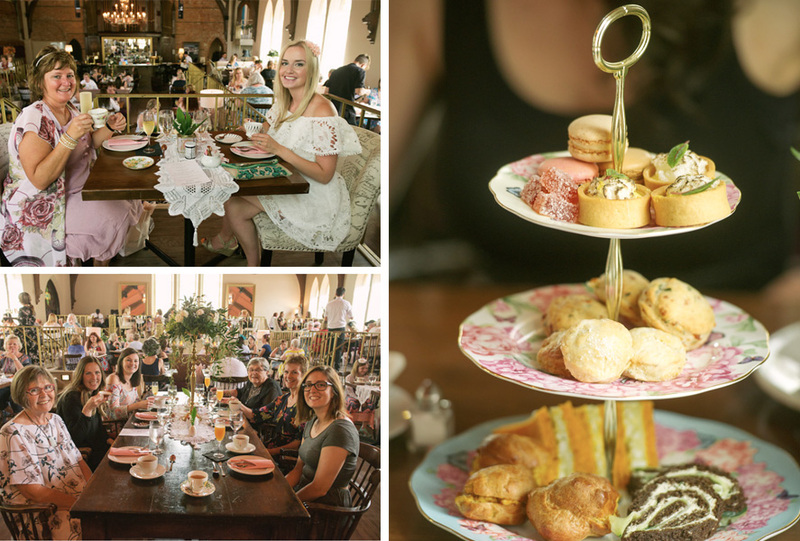 The curated High Tea selection of lavender scones, tea sandwiches, sweets and desserts prepared by Chef Loreena Miller of Revival House was all delectable. Guests enjoyed savouring a selection of three Sloane Fine Teas – Perfectly Pear, Tropical Green and Rouge Provence served in vintage bone china teacups and saucers. Find incredible recipes for iced teas, cocktails and more using Sloane Fine Teas here! Stunning floral creations of lily of the valley and white lilac by Stratford Blooms set the perfect Spring tone! Talented guitarist Rick Francis played music that was so relaxing and lovely. Best Dressed prize went to the beautiful Mary who was with her daughters, niece and granddaughters… We couldn’t resist her stunning light pink ensemble, perfect for High Tea! Mary won a three piece Miranda Kerr for Royal Albert Tea Set to continue enjoying her teatime at home! SAVE THE DATE: Our Holiday High Tea is Sunday November 25th Noon-2pm at Revival House! Make sure to follow Bradshaws on Facebook and @Bradshaws1895 on Instagram so you can hear about our upcoming Holiday High Tea which leads up to Christmas… A completely different experience filled with seasonal teas, foods and holiday themed music performed by the Stratford Symphony Orchestra. Perfect for gathering together before the busy holiday season. 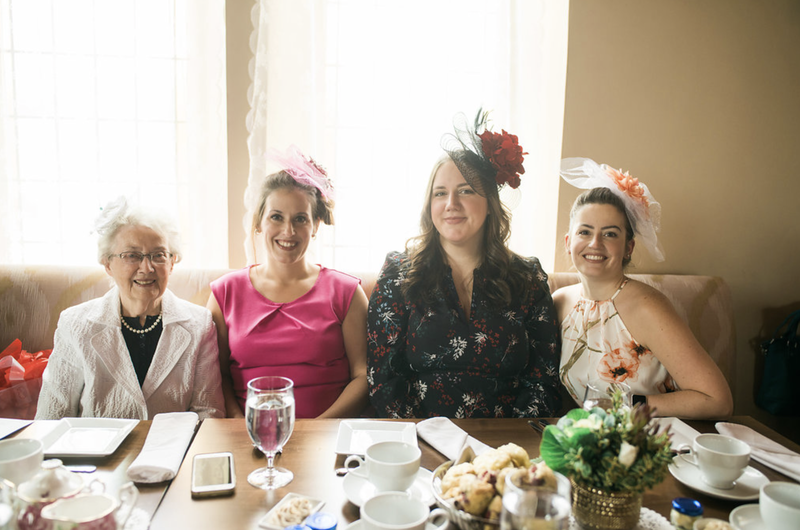 Read about our last Holiday High Tea at Revival House and we’ll see you at the next event!